"Eventually, all things merge into one, and a river runs through it. The river was cut by the world's great flood and runs over rocks from the basement of time. On some of those rocks are timeless raindrops. Under the rocks are the words, and some of the words are theirs. I am haunted by waters." "My father was very sure about certain matters pertaining to the universe. To him, all good things - trout as well as eternal salvation - came by grace; and grace comes by art; and art does not come easy." Brian has been featured on several well known publications and blogs as of late...And his Trout Dream series is unbelievable. Check it out. I am glad you liked my photograph of you enough to use it in your blog! The quotes complement them nicely. It says an awful lot, both for Norman, and you. And it is a wonderful photo. 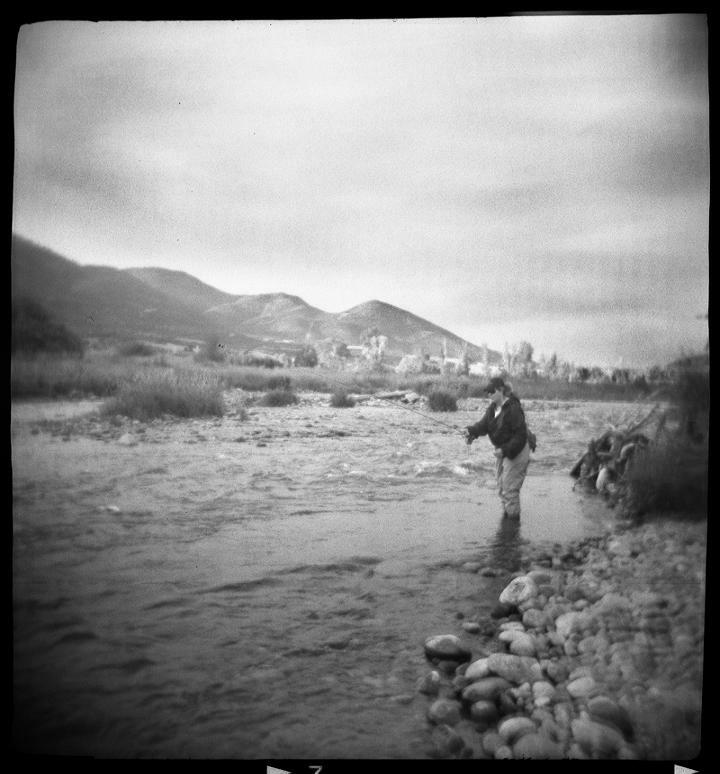 Brk Trt - Brian is the Holga Master... very fortunate to have him journey out with me on the Provo. Love Brian's photography. Just amazing! RD ~ Love the tone of this photo, beautiful! Well done Brian! Brian, I posted a nice comment, but RD deleted it. Seriously, it was nice. Now I'm just at the end of the line looking like I'm sucking up. Great work! Jen ~ We will see you soon! RG ~ He is such a good guy too...glad he lives close by so we can share some time on the water! Cofisher ~ I deleted so you could make a bigger deal about it...see, it worked! Awesome! Perfect words for the photo.